Well, they've done everything they can to destroy your life, to snuff out any joy or possibility of hope. They've delighted in inflicting pain on you and your family. They've laughed as you've wept. They've spit in your face knowing there was nothing you could do about it. They knew that there would be no coworker, no manager, no human resources staff, no union and, indeed, no law to defend you. All of the rules of common decency and fair play that you've tried to live by are nothing but a pathetic, ironic joke. While you were trying to do your best, trying to make a difference they were busy tearing you down, slandering you, sabotaging you, vilifying you, killing you inch by bloody inch. They might be forgiven had they not known, not understood what they were doing. But they did know, they did understand — they reveled in it. Your misery was their joy, they savoured every moment of your suffering. The more torture they could inflict the more they delighted. Not only did they cost you your reputation, your dignity, your self-esteem, your dreams — they have seen to your financial ruin, your abject humiliation and the loss of everything you have built up in your life. They've cost you your career and means of supporting yourself — and your family. That they have done all of this to you, willfully, is loathsome. With workplace violence everyone loses. While targets must find better solutions, bullies must take responsibility for their actions too. But what of the pain they have also inflicted on your family? How many tears have your loved ones shed as they watched you be systematically and ruthlessly destroyed? What affect have they had on your wife or your husband — your children? Workplace bullies don't deserve to be shot. Of course not. But they have done everything within their power to create a dangerous situation. They have tormented another human being, perhaps beyond their breaking point. While it is a heartless and despicable thing to do bullies expect that they themselves should never face any retaliation whatsoever. This is where many targets of workplace bullying come to the crossroads. Suicide or homicide... or both. I am truly saddened every time I hear about another target of workplace bullying committing suicide or at least attempting to. Prof. Heinz Leymann's research into workplace mobbing revealed that appoximately 12 percent of suicides in Sweden were committed by those who had been recently mobbed at work. Before things get to that stage targets need to get out. It's not right and it's not fair that the target should be the one to have to quit, lose their income and face dire financial straits—but it's better to lose a job than to lose your life! Considering that workplace bullies are often serial bullies who are not satisfied with ruining only one life but go on to attack many other unsuspecting people who are simply trying to earn a living, one has to wonder how much suffering, how much damage to the company that management is willing to permit. I do not shed a tear for bullies who wind up getting themselves killed. It's a horrible tragedy to be sure; but when you attack another human being with the intention of utterly destroying them and their family — and their hopes and dreams you have to accept the possibility that they will react. Just as when you brazenly strut into a bear's cave and jab it with a pointy stick you run the risk of having an unfortunate experience with the laws of cause and effect. So, if you make a person wish they were dead, they may take you with them on the way out. Many bullies have found out the hard way that there can be a downside to trying to destroy other people's lives. 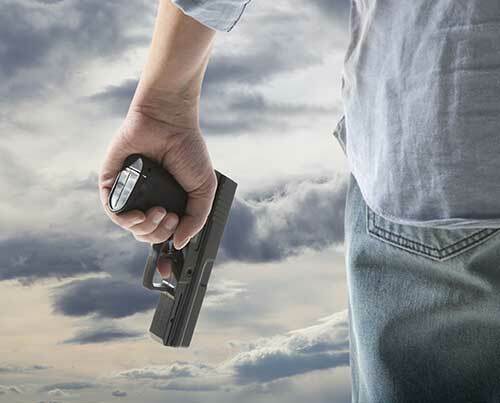 It seems that in spite of a number of highly publicized shootings, laws have not yet changed and targets of workplace bullying still have nowhere to turn. Companies like the one I worked for still support workplace mobbing, still threaten and silence victims and still protect the rights of bullies to destroy lives. If you are a target of workplace mobbing and you are feeling angry and having violent thoughts toward your abusers please seek out help immediately. And if you are a bully tormenting someone at work please seek out help immediately. Targets of workplace bullying who resort to violence forfeit their lives and give the bully the ultimate win. Instead of being afforded the means to recover and rebuild their lives targets of workplace bullying and mobbing who resort to such drastic measures forfeit their lives when they take "justice" into their own hands. So most of them wind up committing suicide after the bullies have been dealt with, some may be shot by police and others will face prison for the rest of their lives. Regardless, even if they live, all hope is lost. Although many corporate executives find this to be an acceptable cost of doing business (or even a best-case-scenario outcome)... I do not. I know of people who have been at their darkest hour and it seemed as if suicide was their best and only option. Then something happened, they turned a corner in their lives and everything changed. But you have to give yourself that chance. Take time to heal and make progress toward your ultimate happiness. It can happen. It does happen. So if you are feeling the way many do about what has been done to you and are now too close to the edge please know that that there is the possibility of hope again. Give yourself that chance.